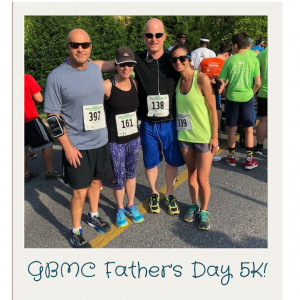 JBC Sponsors the GBMC Father’s Day 5K! 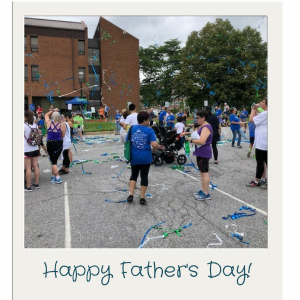 JBC was proud to sponsor and participate in the GBMC’s 30th Annual Father’s Day 5K in support of the GBMC Neonatal Intensive Care Unit. In total, the race was able to raise an amazing $184,000 for this great cause. While hot temperatures and hills made for a challenging run, everyone had a great time and finished strong! If you were not able to participate this time around, make sure to mark your calender’s for next year. It is a fun way to spend Father’s Day and support an important cause at the same time. JBC Renovates the Orthopedic Specialist of Maryland Suite at GBMC. JBC was contracted by GBMC to manage the renovations for the Orthopedic Specialist of Maryland’s new suite, relocating to a larger facility within the Patient Pavilion West building. The 8,000 SF renovation included the construction of two new radiation rooms as well as multiple offices, work areas, a call center, break room, restrooms, and 13 exam rooms. The project had an aggressive schedule that JBC was able to maintain with the cooperation of our valued subcontractors on the job. JBC’s team was compromised of Paul Ferguson, Nick Mancuso, and Greg Robey. They enjoyed the truly collaborative nature of this project, working closely with the GBMC project manager and project architect to quickly address challenges that arose. We look forward to many more years of collaboration with GBMC. To see photos of the completed project click here.